Selecting, applying and reporting on investment screens for socially responsible investing (SRI) presents challenges for companies, investors and fund managers. 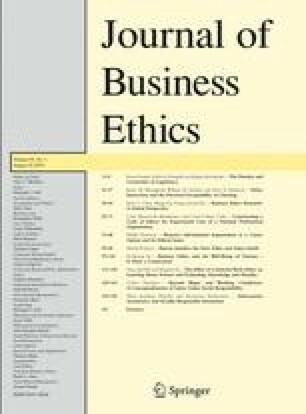 This article seeks to clarify the nature of these challenges in developing an understanding of the foundations of ethical investment screens. At a conceptual level this work argues that there is a common element to the ethical foundations of SRI, even with very different apparent motivations and investment restrictions. Establishing this commonality assists in explaining the information asymmetry problem inherent in SRI. A market-facilitated solution illustrates how these insights might foster the development of socially responsible investment.